Self-published, Brooklyn, USA, 2018. In English. 88 pp., color illustrations throughout, 8½x11x½". Edition of 150 copies with at least one 4'×6' double printed, unique photograph from the Transparency series. 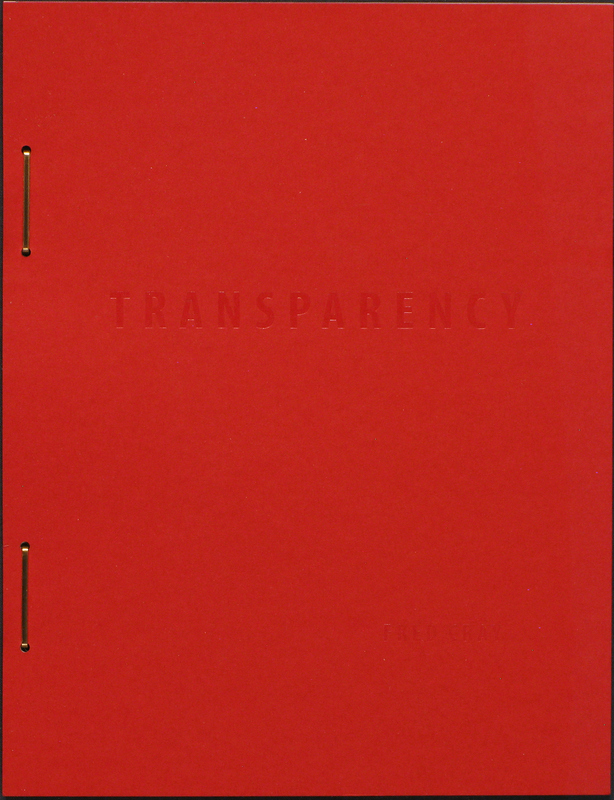 Transparency is another component to the unique photographs project. The book parallels but also deviates from the recent series of artworks where drawings were printed on acetate and then sewn together with photographic print underneath. For the book some of the drawings have been printed on acetate which flips between two printed pages. Other drawings are incorporated through the artist's practice of double printing a variety of images with unexpected juxtapositions. 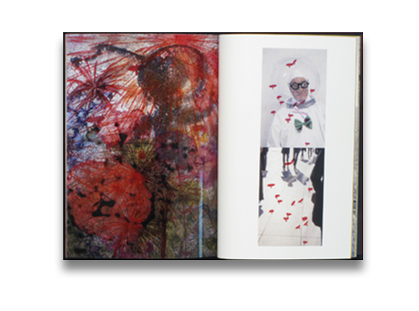 The book deliberately aims to create more of a cacophonous experience than the prints did. The book is printed in a small edition of 150 (plus 15 collector's edition copies). Softcover and carton staple bound. Each book contains at least one 4'x6' double printed unique photograph from the Transparency series.